Save Tristesse to your Collection. Register Now! Tristesse Seeliger is a Vancouver artist working in mixed media using painting, photocopy transfers, collage, and printmaking. For the past two years she has been working on a body of work focused on geometry, territories, perception and cartography. 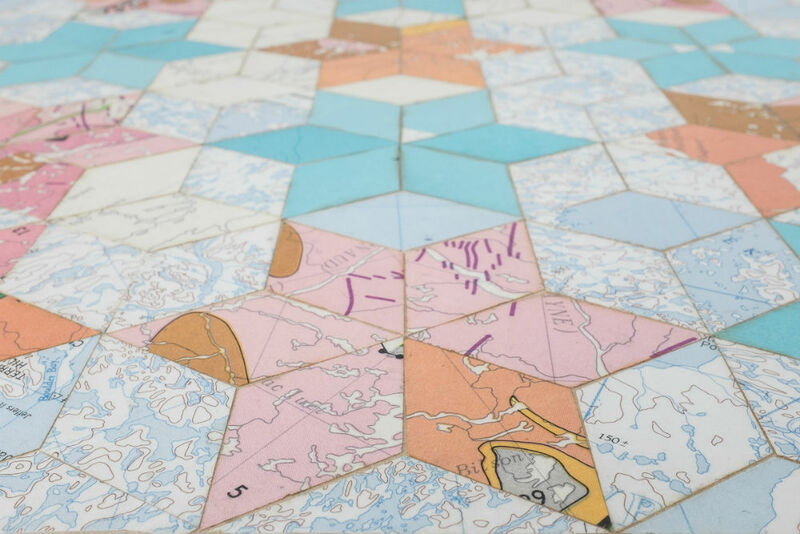 Using the principles in mathematics of tiling and patterning, the work disassembles and then reassembles maps that focus on the shapes, textures and color to recreate new territories. 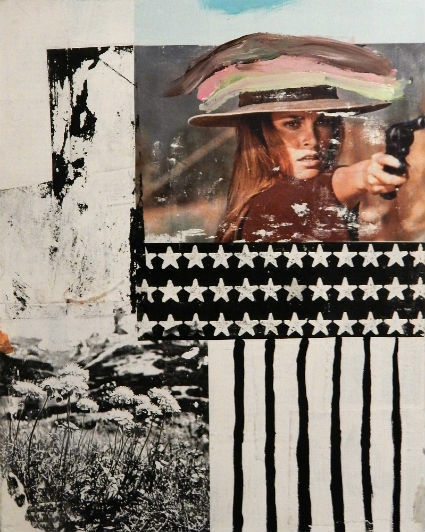 These collages are part abstractions part designed object that use universal language to communicate alternate modes of perceiving land and space. Tristesse has been an art teacher for 14 years with the Vancouver School Board, is a graduate of Emily Carr University of Art and Design and a mom of two beautiful children. 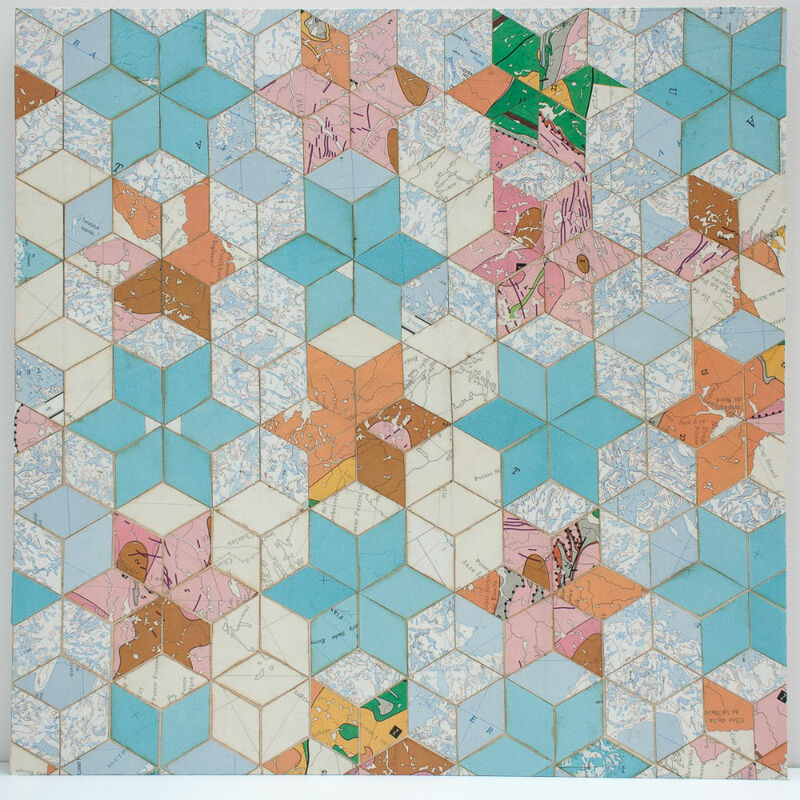 She explains the work by saying, “I am collaging historical maps fusing cartography and geometry to create new spaces and places that coax the brain to drift from the analytical to the sensory, and to delight in what is sensual, familiar, and universal. 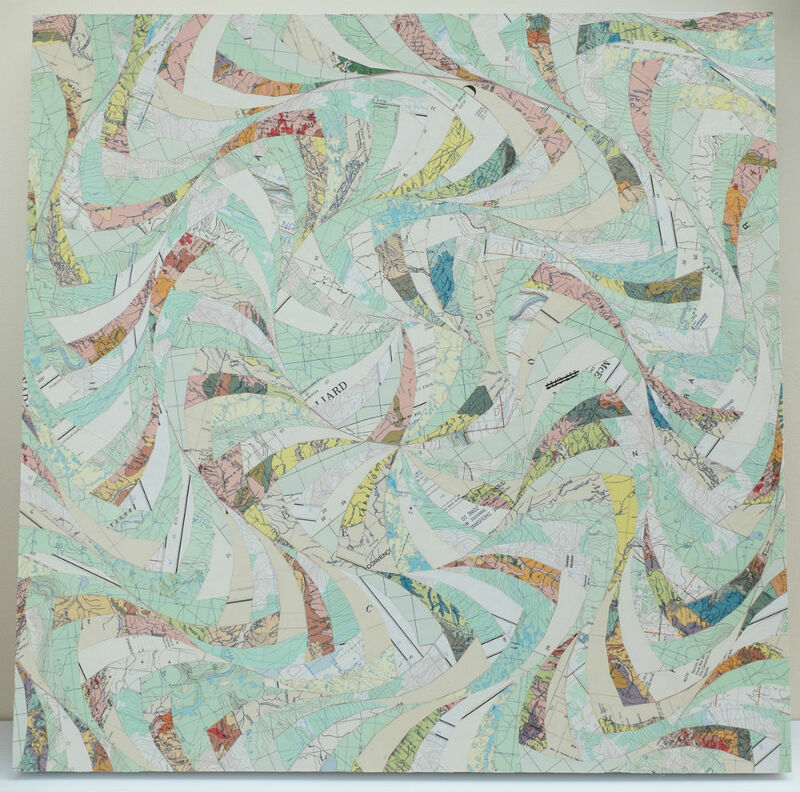 With the use of maps abstracted into pieces, my work becomes rich with metaphor, as both universal and personal meaning about ways of perceiving the known and unknown are explored, and notions of territory are revisited. 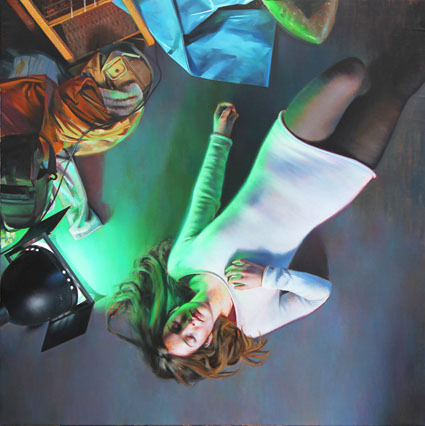 The viewer can see the art objects as a collection of tiny map events or as an intact experience, as the work transforms what was into something new.”. Thank you for spending time with these images. I am using the idea of surfacing in math found in tiling and geometry. All shapes are tessellations, meaning that the shape can fit into itself for ever. All the pieces are one by one collaged onto the board -- So although the idea is precise the process has inconsistencies -- like swing in jazz. The cracks are what makes it human. These are spectacular. What is the medium and math behind them? These are incredible pieces . How did you create these maps? What is the medium and the math behind them? This work is so timely. It makes you think differently. The deconstruction and reconstruction process, the playing with perception and the different parts of the brain contribute to self knowledge. One piece flows with a feminine energy where the geometrical piece is angular with a masculine energy. I love the way that these pieces are like an Escher drawing. The more you focus on them, the more different patterns you see. How clever and unique that they are old maps. I know of no other artist doing this fascinating work. Tristesse is a unique and gifted talent. These pieces really do pull you into them in that delicious unexplainable way.